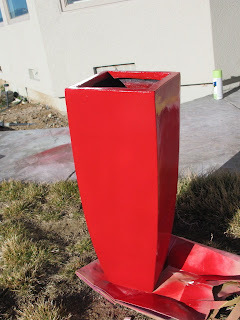 kandeej.com: DIY: RED isn't just fun on your LIPS!!! AND COLOR is what makes our make-up fun....our outfits stand out from everyone else...you can't help your eyes from being captivated by a bright red pair of pin-up lips....same with color anywhere! Why live in a boring "black and white" world...when your eyes can swim in delight with colors everywhere! Let's take a walk on the "colorful" side of life! and TA-DA!!!! Way more fun and eye-catching! It just puts me in a happier mood!!! It looks like red lip gloss! LOVE IT! huge love from "HANDY KANDEE"! Very nice! 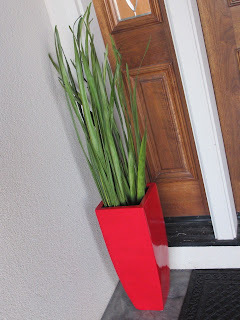 I love red as a house accent! Love this!!! you are a creative colorful cat! It makes it look alot HAPPIER! Please do more DIY's. gorgeous! i love bright coloured accents on myself and at home :p.
I love a red door. I had painted my last two houses' front door with a beautiful blue red. It is such a welcoming color. 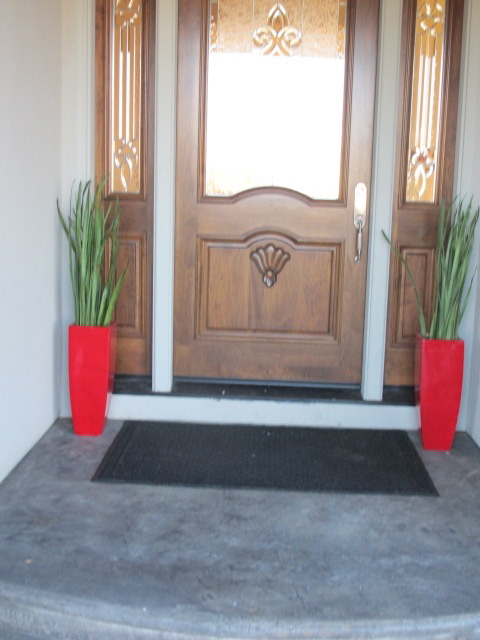 But alas, I too am not in my own house..... the RED urns are a great idea! I can't wait for you to do a new house tour! I love your style and your creativity! I love finding awesome things that are unreasonable for me to buy because it forces me to find a way to make it very affordably! :-) Best of wishes for the babies arrival! Please please please please please do not quit doing makeup tutorials!!! I saw your post of Facebook and I nearly had a heart attack. Your ideas are amazing and every week I look forward to them. It would be awesome if you did both! or at least cut down on the makeup and do mostly home stuff but PLEASE keep on doing makeup please please please??? Red doors are nice but I think I like this better!!!! great idea!!! You deserve a twinkley palace! I think I should get of my duff and do something crafty this weekend! PLEASE don't quit doing make up videos! I love them!! PLEASE don't!!! :) Hope cupcake gets here soon! God Bless! :) Love ya! please do a delivery video!!! Bye! so cool!! love the pop of color it adds!! your awesome, kandee! if you want to do both -you can tag your posts into categories with links at the top. so if people only want hair or only makeup or only diy home decor they dont have to read the others. looks awesome Kandee! i love it!!! i would hate not to reap the benefits of your make up tutorials, but Handy Kandee sounds great too!!! you go!
" IT SAYS: hey, someone fun lives here!" You are so cute kandee!!! I love the pop of color it brings. 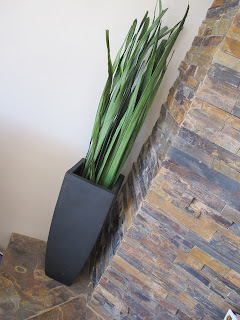 I agree that it is so much fun creating something new with something old and to just have fun coming up with different unique ideas whether its for fashion or home decor. Love your style and your amazing creativity!!! Thanks for being such an amazing genuine person because it seems to be getting harder and harder to find people like that in the world today. I have recently started a new job and I am incredibly dedicated in whatever task I take on. I'm also very shy but I have already noticed people being catty about others within the company. It seems like all they know how to do is talk about other people..their flaws,habbits etc. At one point they were saying to one another while i was eating lunch in the same room "remember that one person who was always quite and how weird they were" and im sitting feeling incredibly uncomfortable then right after that the one woman was like "like liz, shes very quiet" so I finally had the guts to pipe up and say "well Im here at the moment so I know you won't be talking about me like I know some of you do" and everyone got quiet for alittle bit, then went right back talking about this other person. Eventually I just go fed up and said " do you guys ever talk about anything other then other people, we are all human and everyone has flaws but why must it always be pointed out, it's just so exhausting listening to this all the time" I ended up having a 30 min conversation with this one girl who was saying that she values my work and that some people can be that way but all in all they are a family, but I just think it's rediculous that they call themselves a family when one minute they will be saying hi to you and making conversation then the next they badmouth eachother. I just don't get it, I feel like im in highschool still but i'm the only grown up one. I even mentioned my faith in God, because he is there for me and I always ask him for the strengh to not allow the negativity and disrespectful behavior of others bring me down. Just like what you had wrote the other day about how mean people can be for no reason. Im sorry I wrote such a long message I needed to vent. I thank you for all you do!! I dressed up our planters in front of our house with gold spray paint a few months ago... cute! Wish you could come and redecorate my house for me!!! :o) And you have the most beautiful view of the mountains. Thanks for all you do!! You are such an amazing person. I Love that!! I too love re-vamping things by painting them, there's nothing like adding your own personal touch to things!!! love you Kandee, keep being your amazing self!!! 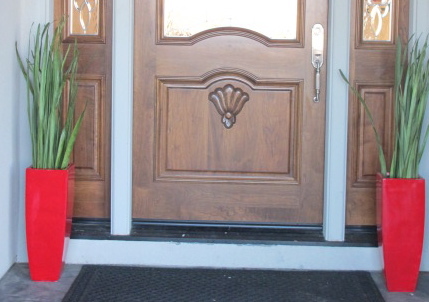 I LOVE red front doors. It's funny because it seems like most males think that's crazy. I love what you did though. It looks so fun. Just like you. This is a great DIY idea, vey cute! 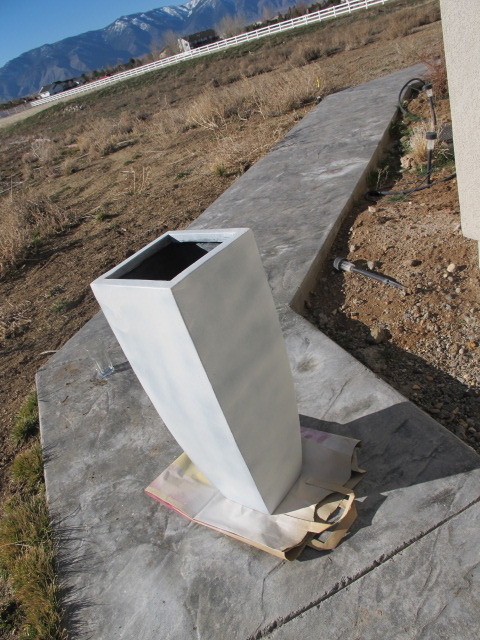 I linked your blog to my restoration webpage for my clients to see as well.